Image: Nicholas Hunt/Getty Images for Billboard Magazine. Madonna has had many monikers over the years: Material Girl, Madge and Queen of Pop, just to name a few. But the title of "soccer mom" just might be her favorite yet. Of course, in true Madonna style, she's taken the role of soccer mom to the next level by moving to Portugal so her 12-year-old son, David, can train to (hopefully) become the next Cristiano Ronaldo. In a new interview with Vogue Italia, the star said that she considered moving her family to Turin and Barcelona before settling on Lisbon because "it seemed the best all-around choice." David's dream is to become a professional soccer player, and if Madonna has anything to do with it, he just might achieve this lofty goal. "I've been desperate to get him into the best academies with the best coaches, but the level of football in America is much lower than the rest of the world. I saw his frustration, and I also felt it was a good time," Madonna told the outlet. She may be the world's most famous soccer mom, but Madonna's scheduling woes are totally relatable. With game times and locations constantly changing, the star revealed that it's tough to make plans. (Sound familiar?) "It's impossible to make plans, and then you feel like you're not being fair to your other kids, or being fair to me!" she told Vogue Italia. 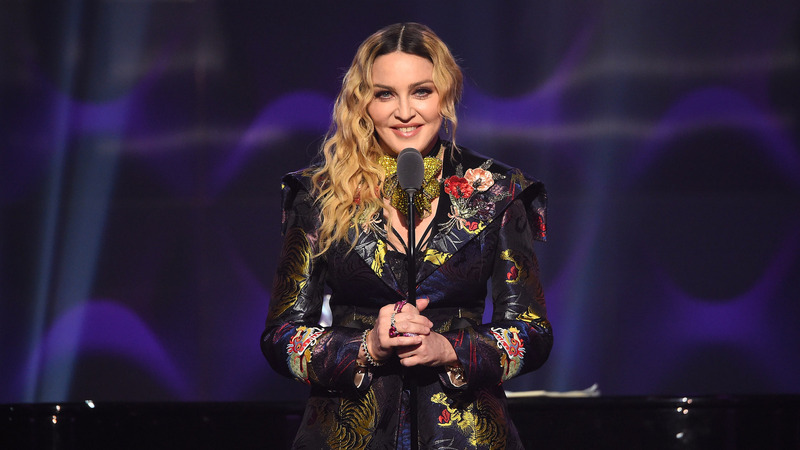 Although she's doing everything she can to make David's professional soccer-playing dreams come true, Madonna isn't putting any pressure on her son. "A lot of people say to me, 'You must really want your son to be a successful soccer player, your oldest daughter [Lourdes] to be a dancer, Rocco to be a painter.’ And I always say no, what I want my children to be is loving, compassionate, responsible human beings," she shared. Famous soccer moms — they're just like us.